Free preschool available to qualifying families! 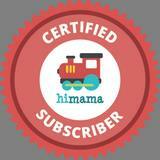 YWCA Nike Tykes Early Learning Center parents - join HiMama to stay up to date! Ask a staff member for more information.